If you're in the market for a new tablet, the good news is that there's a tablet for everyone, regardless of needs and budgets. The bad news is that with everyone trying to tell you their tablet is the best, finding the right tablet for you can be tricky. So before we start talking specific products, here's what you need to consider to make a smart buying decision. How large (or small) of a tablet do you need? Tablet size is typically measured by the distance from corner to corner, diagonally, in inches. Most tablets have either a 7" screen or a 10" screen, though Amazon's Kindle Fire HD falls in the middle with an 8.9" screen. So which one is right for you? While all tablets are portable, smaller tablets are the lightest and most portable of the lot, sized to fit in a large pocket or small purse, making them great companions for anyone on the go. They're also easier to hold in one hand (like a paperback book), which makes them a great option if you're frequently going to use your tablet for reading. And best of all? 7" tablets cost less than their 10" brethren, making them the perfect option for budget shoppers. Larger 10" tablets are the powerhouses of the tablet world, with the ability to do just about anything you might want. Their high-resolution screens makes them especially good for watching TV or movies as well as editing your own photos or video. Gamers, too, will appreciate the extra screen size and processing power a larger tablet has. And business users, who might find 7" tablets a bit cramped for reading email or managing spreadsheets, will also appreciate that larger tablets are more likely to have access to 4G or LTE cellular networks instead of just relying on Wi-Fi. Of course all of these extra features add to the cost—though you can still find 10" tablets at reasonable prices if you shop around. Just how much storage space do you need? The amount of storage space on a tablet will limit the number of apps, photos, and videos you can store on it. You'll typically find tablets offer 8GB, 16GB, 32GB or 64GB of storage space, and that the price goes up as the storage space goes up. Some tablets will allow you to expand on their storage space with an SD or micro-SD card, but with some (like the iPad), the storage size you buy is all the storage you'll ever have. If you plan to use your tablet to store lots of photos, videos, TV shows or movies, you'll definitely want to pay close attention to the available storage space on your tablet, as it will limit how much data you can carry with you. For a judge of how much storage space you need, high resolution photos can take over 5MB each and large games can range from 500MB to 2GB in size. However, if you're using your tablet for video, that's likely to eat most of your storage space, clocking in at 1.5GB per hour of HD video. But if you're only interested in reading email, browsing the web, reading ebooks, streaming media, and playing with a few apps—which we think is likely for the average user—you may find the smallest storage size suits you just fine. Do you need cellular service? This is another choice you'll have to make up-front. Do you want a tablet that only accesses the Internet via Wi-Fi or do you want to be able to get online via cellular network if you're out of Wi-Fi coverage? While cellular service is definitely convenient—and could be a must if you travel frequently or are a business user—it will increase the cost of the tablet up-front and have a monthly fee attached for service. Before you make the call, you may want to look to your smartphone: many will allow you to create a Wi-Fi hotspot using your phone's existing data plan. If your smartphone lets you do this, even if it's for an extra fee, it may be simpler to use your phone when you need cellular access instead of dealing with a separate bill for another mobile device. In the world of tablets, you'll find most run either Google's Android software or Apple's iOS software—though there are options that run BlackBerry or a version of Windows. These operating systems perform all of the basic functions that make your tablet run. While there are many differences, major and minor, between them, there are two functions that are particularly important: app stores and compatibility with other devices. App stores: Apple's devices can access apps in the iTunes App Store while Android devices accesses apps on Google Play. While you'll find plenty of apps available in both stores, your iPad won't be able to run Android apps and your Nexus 7 won't be able to download anything from the App Store. So if you're looking for a particular app, make sure you know where it's available before making a buying decision. As to variety, both stores have it: Apple's App Store boasts the world's largest collection of mobile apps with 775,000 apps (over 300,000 of them optimized for the iPad), while Google Play has over 700,000 apps (though not all of them are optimized for tablets). Compatibility: If you have an Android phone or an iPhone, you'll want to consider a tablet that runs the same operating system. Though it's not that hard for an Apple user to pick up an Android tablet or vice versa, you'll find that like devices tend to work together seamlessly when you're trying to sync things like calendars and contacts. And if you stick with the same operating system, there's nothing new to learn when you pick up your tablet: it works just like your phone does and uses apps you're already familiar with. No matter what you're doing on your tablet, a high-quality screen will be an asset. If you're just reading emails and other documents, you'll find that the crisp text is easy to read and causes less eye strain than a lower resolution screen. And if you're playing games, higher resolution screens can offer you a full HD experience with incredible detail—not bad for a portable device! If you have a little one at home who might play with your tablet from time to time, you'll want to look for a tablet with parental controls to make it easy to keep them out of anything they shouldn't get into (investing in a durable case isn't a bad idea, either). Especially important is the ability to restrict app purchases and in-app purchases to keep your kid from accidentally running up your credit card bill. 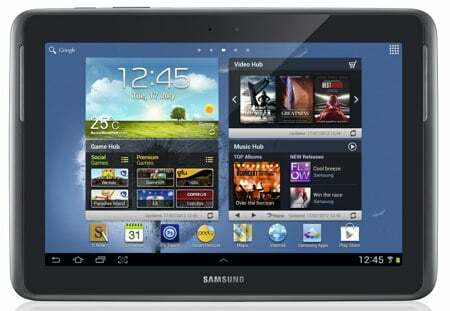 Different tablets will have different options, so be sure to check them out before you buy. But, in general, Android tablets running Jelly Bean (Android 4.2) support profiles, which means you can limit access for your kids. If you do purchase a new tablet and have an older one you won't be using, consider handing it down to a family member or selling it for credit or cash. The Wifi only iPad does not have it’s own GPS. Apparently, it uses nearby Wifi hotspots for location service. This is not as accurate as a GPS and doesn’t work at all if there are no nearby Wifi hotspots. I discovered this the hard way and had to upgrade to a cellular model. I don’t think Android has this limitation.